February 10, we'll be hosting our beloved Valentine's Day PCN! Usually, we play Valentine's Day Family Feud but we're switching it up. Join us for Kahoot! Trivia Night! The theme will still be Valentine's Day, but that's not the only category. Other topics will include pop culture, science, phrases, and more. G rab your favorite trivia players and stop by! You can jump in at any time, but the more questions you answer, the better your team's chances of winning. The winning team will receive two movie tickets per player! Warning: Trivia Night is intended for an adult audience. Some content may not be suitable for children. Native Student Union is at full fry bread power! Stop by the Brooks Gathering Room on Monday, February 6th from 11:30-1:30pm to get some of the best, and possibly only, Fry Bread and Indian Tacos on campus! You can partake in a fully loaded Taco for just $10 or get some Fry Bread for $2/piece. All proceeds will go to help fund the Native Student Union of UAF. Wouldn't it be nice if you could fill out just one application and be considered for over $3 million in scholarships? The UA Foundation application does just that. Be sure to fill out to fill out the application on UAOnline by February 15th. If you'd like more details about the scholarships, including how to apply for them, please visit https://www.alaska.edu/foundation/. If you're ready to graduate at the end of this semester, make sure you get your application in by February 15th. The application fee is $50 before and on that date. Afterwards, you will be charged a $30 late fee, bringing the total up to $80. Apply early and don't get hit with that late fee! The Great Alaskan Accounting People are hosting the fifth annual Alaska Native Corporations Seminar on Monday, February 6th at 6:00pm in the Murie Auditorium. This year's seminar will be led by Master of Ceremonies, Sam Alexander, and will feature five distinguished panelists. Tom Maloney, CEO of Ahtna Netiye' Inc., the holding company for Ahtna Inc., an Alaska Native regional corporation. Daniel Mitchell, Managing Director with KPMG, a global accounting firm. Geri Simon, Vice President of Administration for Doyon Limited, the Fairbanks-based regional Native corporation for Interior Alaska. Toby Stoeber, Accounting Director for Doyon Limited. For more information, contact Zacharay Morris, GAAP events officer, at zrmorris2@alaska.edu. Are you looking for a leg up in your field and want to have a higher chance of gaining employment after college? An internship can really help you do just that. One of the many organizations that offer internships is the First Alaskans Institute and they happen to be recruiting! Ella Tonuchuk will be hosting a Lunch and Learn session in the Brooks Gathering Room on Tuesday, February 7, 2017 from 11:30-1:00pm. If you can't make it, they will be back at 2:00pm to meet with more students! The goal of this is to get students interested in some of the many internships that they coordinate around Alaska. If you're interested in learning more, show up, visit www.FirstAlaskans.org , or talk to one of your fellow students who have done it themselves! The nominee engages effectively with leadership, students and/or region to advance educational opportunities for Alaska Native/rural students. If you read this and someone came to mind, chances are that you should nominate them! Submit your letter to slrahlfs@alaska.edu or uaf-dansrd@alaska.edu by February 10th, 2017. Utilize the resources that UAF provides by going to the Spring Career Fair this semester! Stop by the Wood Center on February 22nd between 11:00am and 3:00pm. There you will find employers who are looking to fill full time, part time and seasonal positions in engineering, business, social services and many other sectors. For more information, visit Career Services. You're not just here to go to classes, but also to gain experience that you can use to strengthen your skills and resume. Speaking of which, be sure you have a complete, up-to-date resume on College Central Network and bring one with you when you visit potential employers at the fair. The Undergraduate Research and Scholarly Activity program is accepting applications from undergraduate students for summer funding for research and creative projects. Students in any discipline, at any UAF campus and in any year of study may apply for up to $5,000. This funding can applied toward student salary, travel, tuition and/or supplies. Students can search for established projects on the URSA website "Research Opportunities" link. The deadline to apply is February 26, 2017 . For more information, please visit the URSA website, www.uaf.edu/ursa . Get ready for the Annual Festival of Native Arts! This year's theme is "Carry your drum, carry your future. " From March 2-4th, you will be able to immerse yourself in Native dance, music and traditional arts. The Festival of Native Arts is a student-led tradition that has been bringing together artists, performers, and performance groups for 44 years! Click here if you'd like to find out more. As always, Festival has some great prizes lined up for their raffle, including the grand prize of two round-trip Alaska Airlines tickets. Tickets are $5 each or 6 for $20. You can pick them up at the Festival office. 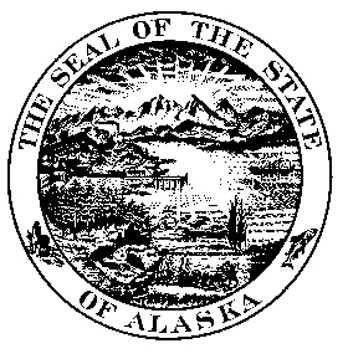 Great Alaska Accounting People (GAAP) provides free income tax assistance, preparation, and electronic filing as part of the IRS Voluntary Income Tax Assistance (VITA). If you need help with your taxes, stop by The Nook in the Bunnell Building on March 4th, 25th, April 1st, 8th, and 15th between 10:30am and 2:30pm. It's a new year and that means you have to get used to writing 2017 on documents instead of 2016. It also indicates that we're headed toward a new Alaska Permanent Fund Dividend dispersal! But, before you can take a bite out of that pie, you have to apply. It's easy to apply for the PFD using the State of Alaska website. Just click on this link http://pfd.alaska.gov/ and follow the prompts. The Academic Advising Center offers a large number of workshops designed to promote study and university skills important to student success. Upcoming topics include, effectively reading a textbook, reducing math anxiety, successful test taking, note taking skills and many more! Click here for the full list of workshops that are being offered this semester. In the Gathering Room at RSS, we have tutors from the American Indian Science and Engineering Society to help you with Math, Science, and Engineering questions. Their schedule is coming soon! We also have tutors from 2-4:00pm Monday through Thursday from the Writing Center, another from the Speaking Center on Tuesdays from 2-4:00pm, and a handful from the Frontier Baptist Church who can help with Chemistry, Math, Physics, English, and Writing (schedule here)!